Located in Sydney, Mint Window & Door Solutions prides itself on excellent customer service. We are not just selling you a product; we are providing you with the tools you need to live a more sustainable lifestyle. We have extreme confidence in the quality of our uPVC window and door frames. 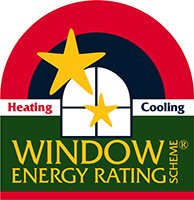 We strive to maintain the best customer satisfaction not only with our products, but also with our representatives and PVC window manufacturers. Our main goal, similar to that of our designer and manufacturer Deceuninck, is to support our customers by providing them with a product that utilises energy in the most efficient manner. This means that our uPVC window and door frames have high-quality insulation, are long-lasting and require minimal maintenance. Produced without heavy metals and manufactured with the minimum amount of energy, our products can help you feel that you’ve made an incredibly responsible purchase. Our uPVC range will leave less of an ecological trace and are made with a recyclable structure! Our dedicated team is here to provide honest and friendly help and advice every step of the way. From the time we give you a free quote to our consultation and through to manufacturing and installation, we promise to meet and exceed your expectations. Whether you require a one-time installation of uPVC windows and doors or would like to establish long-term business collaborations, Mint is here to advise and listen. Let us know what we can do for you. Give us a call on 02 8315 4374 to speak with one of our specialists and get started decorating your Sydney home today! Or ring 0450 310 131 to discuss your requirements.